POLITICO first reported last week that an IG investigation had been opened into Long’s use of government Suburbans for routine weekend travel to his home in North Carolina. 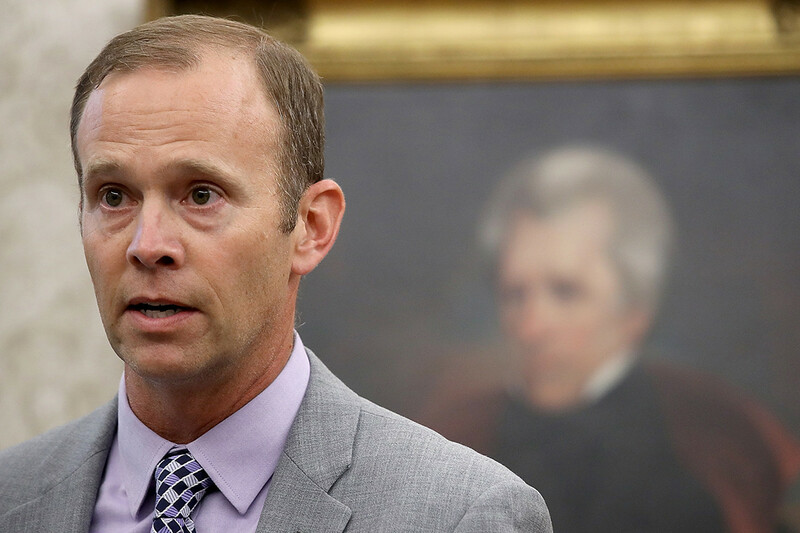 FEMA Administrator Brock Long has been forced to reimburse the government for improper personal use of federal government vehicles and acknowledged “mistakes” that he and FEMA made in using those vehicles. A DHS Inspector General investigation found there was “inappropriate use” of the vehicles, Department of Homeland Security Secretary Kirstjen Nielsen said in a statement released Friday night. “[U]se of Government vehicles to provide home to work transportation for the FEMA Administrator was never authorized in accordance with applicable law,” she said. “The Secretary and I are taking corrective action to prevent such mistakes from happening in the future,” he added. Long did not immediately respond to a request for further comment from POLITICO. POLITICO first reported last week that an IG investigation had been opened into Long’s use of government Chevrolet Suburbans for routine weekend travel to his home in North Carolina under a government continuity program, which is designed to ensure senior officials can be reached in case of a national emergency. Nielsen, who had a “productive conversation” with Long about the issue after she reviewed the report, ordered him to reimburse taxpayers for the unauthorized use of government vehicles. “I take seriously the unauthorized or inappropriate use of Government resources by any DHS employee and I appreciate the work of the OIG in thoroughly completing their investigation,” she said. Nielsen ordered DHS to prevent this from happening in the future by conducting a review of DHS policies on “home-to-work transportation programs,” assess DHS continuity programs and the communications needs associated with it, analyze FEMA’s National Continuity Program and put in place a DHS review of and training about how to use government vehicles properly. The Wall Street Journal reported on Monday that the matter had been referred to federal prosecutors, who are investigating Long and two other FEMA employees. The Department of Justice did not immediately respond to a request for comment about the status of federal prosecutors’ work on the matter.